Winter, where was thy sting? Never mind, forget I asked. Though it’s officially the 2nd day of Spring, we’ve been feeling that vibe for at least 3 weeks now. Our snow is long gone and we’ve been in the 50s and 60s during the day. 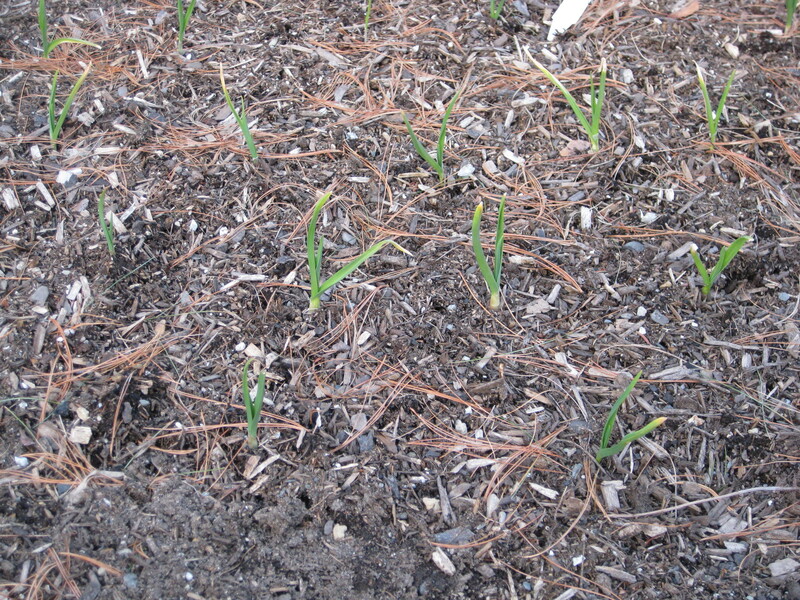 The garlic was up before the crocuses! 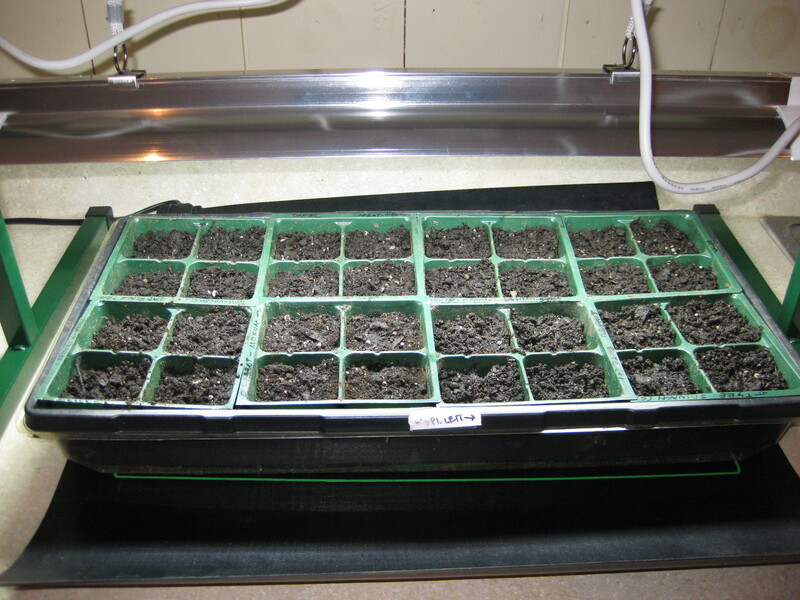 Started the following seeds today: Beets: Wonder Tall Top and Red Ace; Broccoli: Blue Wind; Eggplant: Orient Express and Mangan; Kale: Winterbor; Lettuce: Black Seeded Simpson, Simpson Elite and Roman Emperor; Peppers: Dulce (jalapeno), Yankee Bell and Sweet Chocolate; Spinach: Salad Fresh, Bloomsdale Long Standing, Tyee and Whale. 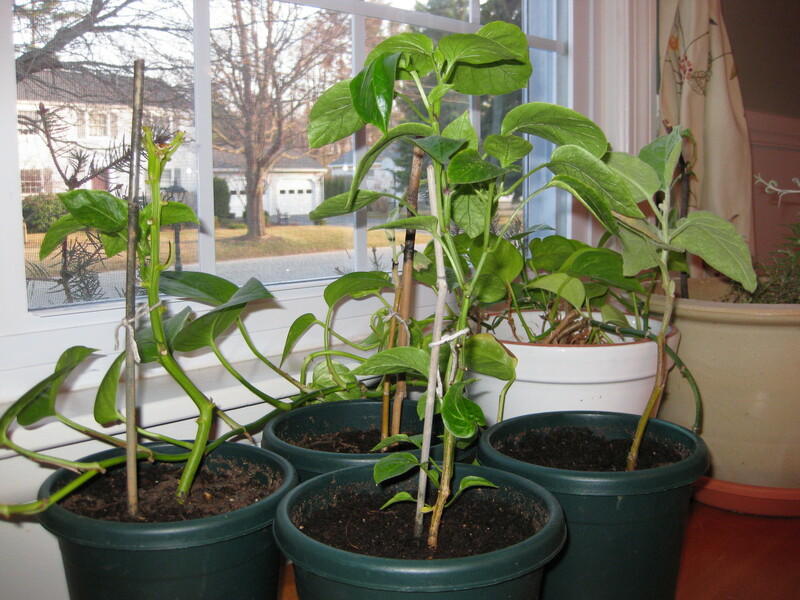 I have two bell pepper plants (Blushing Beauty and Unknown Variety) and two Eggplant plants (both unknown varieties) that did great wintering in the house and will go out in May at some point. Got lumber for another two beds and row cover and hoops as well. Phase I of the 2010 season has begun. Good to see you’re still at it. I wrote my first post in over a year last night and was revisiting my neglected blogroll. Looks like you got quite a seed operation going. 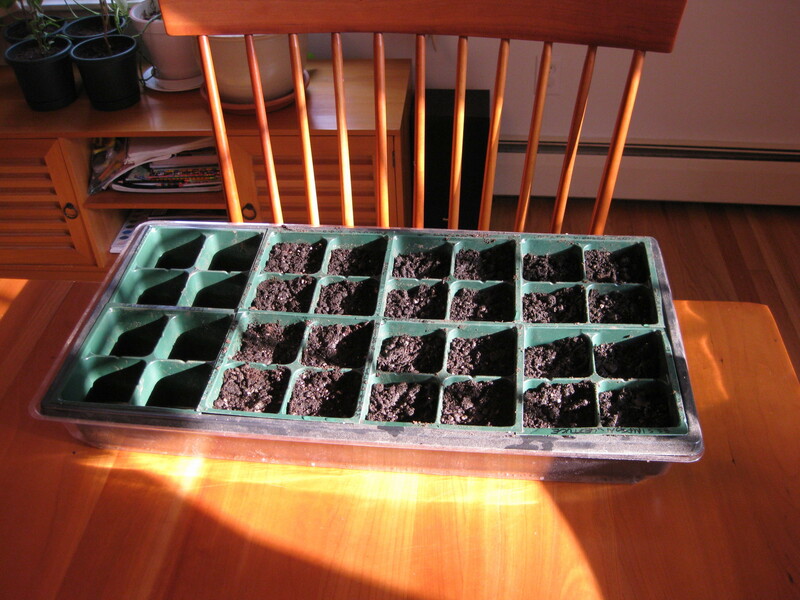 I didn’t even attempt seeds this year, what with a toddler to keep up with, but got some great plants and have had tomatoes in the ground for 3 weeks now. 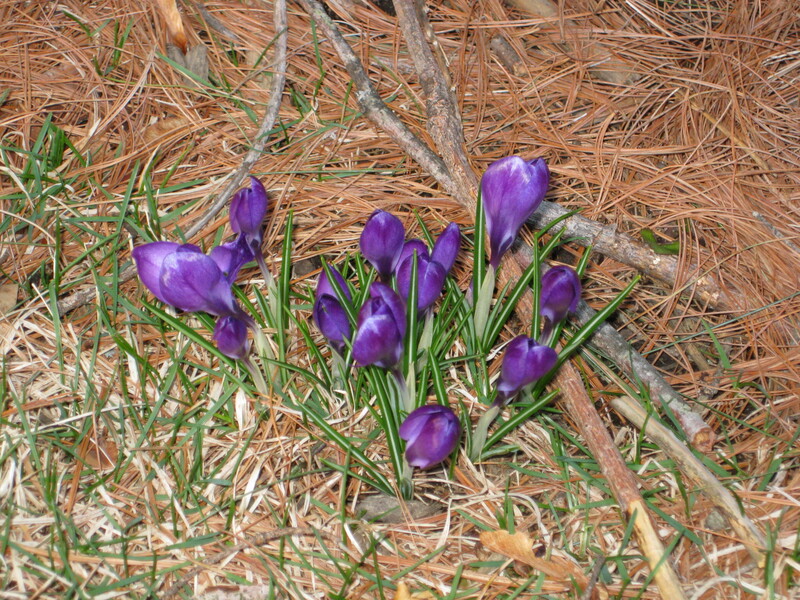 Hopefully the springtime enthusiasm will keep me blogging for a bit. Hey Kelly! Yes indeed, still at it. Good to hear you are as well and will check out your post.